Saturday was a busy day for us we had two great events . First was Peace Bees doing a Beekeeping 101 class. 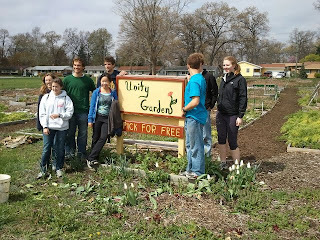 This year Peace Bees is putting Hives in one of our Gardens , and maybe more at a 2nd garden. As gardeners we all know the importance of Bees to our food supply, as well as the health benefits of Honey. So this may BEE the most exciting project we have taken on yet. 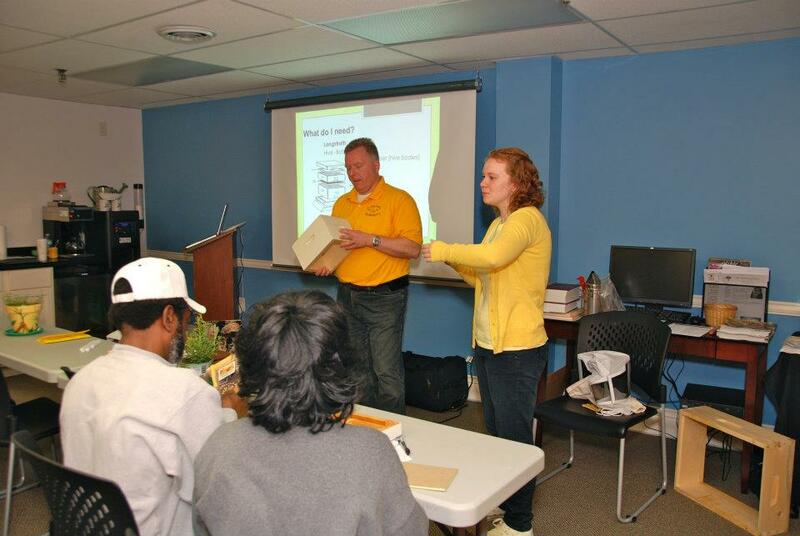 Our mission will be to train future beekeepers. Steve gave a great intro class and anyone wanting to learn more can have hands on instruction at the LaSalle Square Garden. 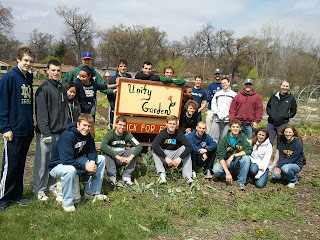 We also had several groups of ND students, and a Group of Saint Mary's girls come out to the LaSalle Square garden to do spring cleaning. A special thanks to our Volunteers that helped manage the students , Sue, Connie, Gabby, and Laureen we could not of did it without them. 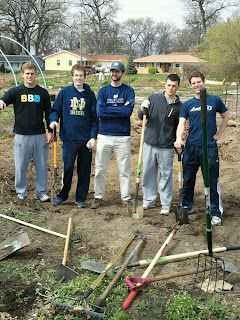 This is the 2nd year Notre Dame has come out on Communiversity day to help in the garden. Its a great way to kick off spring in the garden after a grey winter. Mulching Paths, cleaning out an area for our new Bee hives , making an area for our growing hoop , and spreading gravel were just some of the projects. All I can say is the season is upon us and we are ready.